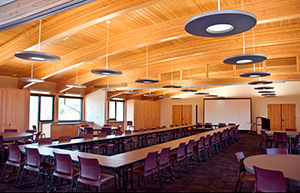 Provide meeting space that fosters a safe and comfortable environment to gather and exchange ideas. We specialize in making your vision a reality. 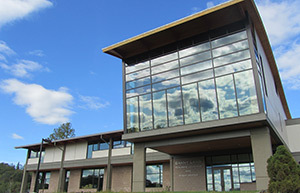 Located in a beautiful, private, quiet valley along the North Umpqua River, Umpqua Community College is one of the hot spots of Southern Oregon. UCC regularly hosts weddings, concerts, sporting events, anniversaries, festivals, fundraisers, business meetings & parties, retreats, plays, art exhibits, workshops, industry conferences, camps, and more! Thoughout the year, UCC presents theatrical and musical performances. Theatre Arts students present performances on stage as part of their learning experience. The artwork of UCC Fine Arts students is featured in regular exhibits at the Art Gallery. UCC brings in fine music acts from around the region. The Performing and Fine Arts faculty members are active in the community. 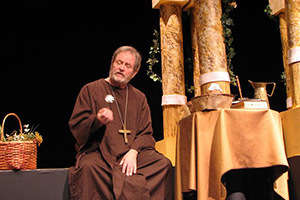 They are involved with the Umpqua Singers, UCC Chamber Choir and the Umpqua Chamber Orchestra. All of these perform on the UCC campus. 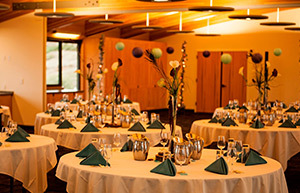 UCC offers an array of indoor and outdoor venues and spaces to fit a variety of occasions and groups of people. Halls, rooms, and outdoor spaces are equipped, or can be equipped, with video sound systems, tables, chairs and lighting. Many of the facilities also have WiFi connections. UCC is ready to host any occasion! Feel free to browse the website and get a feel for the variety of venues available. If you would like to plan your event on the UCC campus, you can view our venues and fill out our request an event form. Or, if you prefer, you may contact us to discuss your event. One of our premier event spaces is the Lang Center which is available to the public for scheduling through the UCC Events Department. 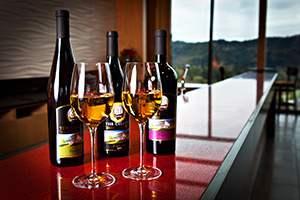 The Southerrn Oregon Wine Institute provides alcoholic beverage service upon request for events. 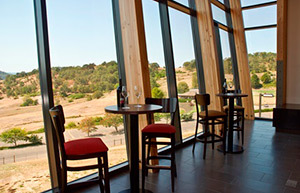 The Lang Center is an ideal location for a variety of events such as weddings, parties, business meetings, workshops, fundraisers and banquets. There are indoor and outdoor event spaces. Plus, a variety of services can be made available to help make your event successful. 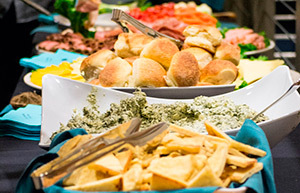 UCC's River Rush Catering service can provide the food and beverages you need for all kinds of UCC-related events - fundraisers, conferences, weddings, luncheons, workshops and more. Are you going to have a business meeting for your UCC department or local business? Prices are competitive, and there are many menu options available.